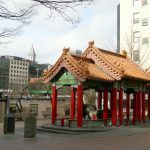 This year marks the 40th Year for the Seattle Chinatown International District Preservation and Development Authority. Throughout the year, we are featuring stories of our staff, programs, seniors, and stories around the neighborhood. Checkout our spotlights!